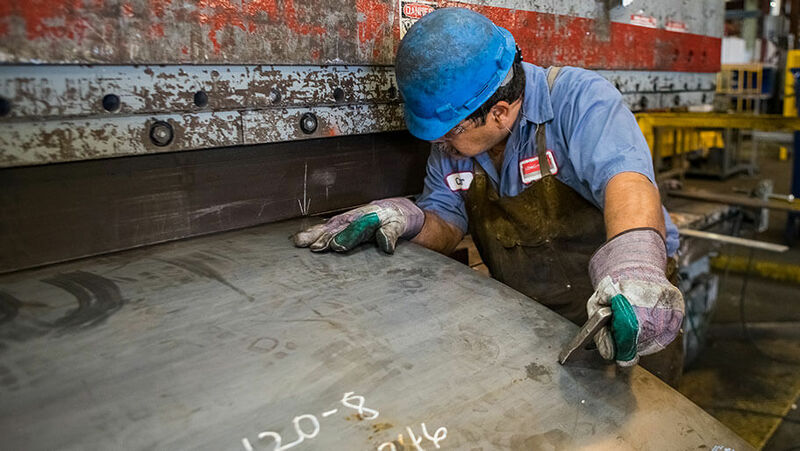 Between our large inventory of steel coil and our broad mix of custom forming and in-house tooling, California Steel and Tube has become known nationally as a versatile fabricator of the highest quality. Our range of product is endless: California Steel and Tube uses commercial quality cold rolled, hot rolled pickled and oiled, and galvanized steel; shapes range from angles, channels, c-sections, lip box sections, hat sections, and other complex designs; steel coil is available in a variety of types, gages, and finishes; and substantial inventories of tooling are available at no cost. Whatever your needs, California Steel and Tube can serve you. Ideas take shape – an infinite variety of shapes, in fact – with roll forming. This process is the continuous shaping of sheet or strip material by a progression of forming rolls. It gives engineers unlimited design freedom to create simple or complex shapes that are high in strength and low in weight. Shapes range from angles, channels, c-sections, lip box sections, hat sections and other complex designs for a variety of applications. Roll formed parts are used in a wide variety of applications – construction, portable buildings, furniture, curtain track, medical equipment, racks, cabinets, gates – let your ideas take shape in roll formed metal. And don’t worry about the material, California Steel and Tube maintains a large inventory of steel coil in a variety of types, gages and finishes. California Steel and Tube uses commercial quality cold rolled, hot rolled pickled and oiled and galvanized steel. Although special stainless steels, alloys and aluminum are not normally carried in stock, the company can roll form sections from any formable metal. If your idea calls for a formable metal and we don’t have it on the floor, we will obtain it quickly at competitive price. Particular emphasis is placed on custom forming to meet the customer’s end use requirements. 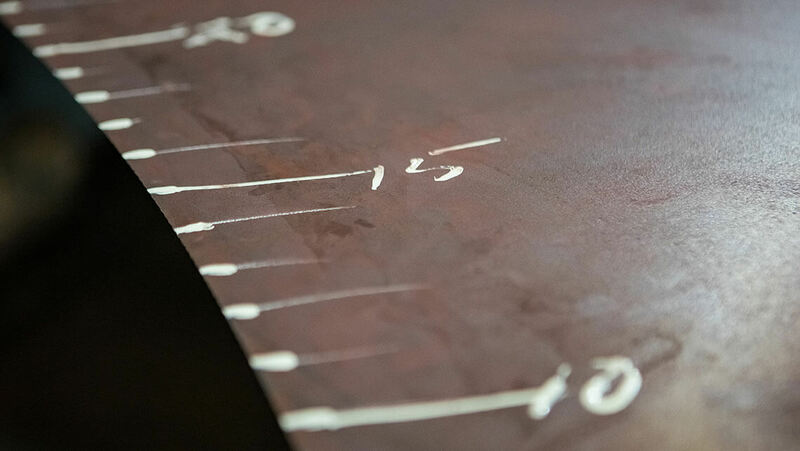 Special presses are available for pre-notching and post-notching, for meeting exact cut-off requirements and for cutting metal free of deformation – in precise lengths from 6 inches to 60 feet or longer within close length tolerances. Need holes or slots punched, cut to exact lengths, embossing, or printing? Let your ideas take shape – we can likely, provide your EXTRA work “in line”- at tremendous cost savings – if not, our punch presses and other fabrication equipment will permit us to perform the operations at a minimal cost. Although well known for custom forming to exact customer specifications, California Steel and Tube has a wide inventory of, “in house” tooling, and have produced thousands of tons of many standard sections – such as angles to 4” x 4” , channels to 21” base dimension, C-Sections to 16” base – plus many others. Although tooling for some special shapes is limited to use for a specific customer, a substantial inventory of tooling is available at no cost. By using combinations of tooling, it is possible to greatly reduce the cost of tooling a new section. The tooling charge policy is explained in the “Tooling Policy” section. Let your ideas take shape in metal – and let California Steel and Tube help you turn those ideas into saleable products. We have been providing the highest level of customer service since 1951 and are now known as a top steel fabricator because of it. What can we do for you?